Noslo is the place where the last spike was driven in the Montreal-to-Winnipeg portion of the CPR — the Last Spike at Noslo. Click here for a commemorative photograph of the event. The first of the last spikes, Noslo was the point where the original thrust of the CPR (from Montreal to Thunder Bay) was finished on May 16, 1885, and the line was used to send troops to Manitoba to “deal with” Louis Riel soon after. 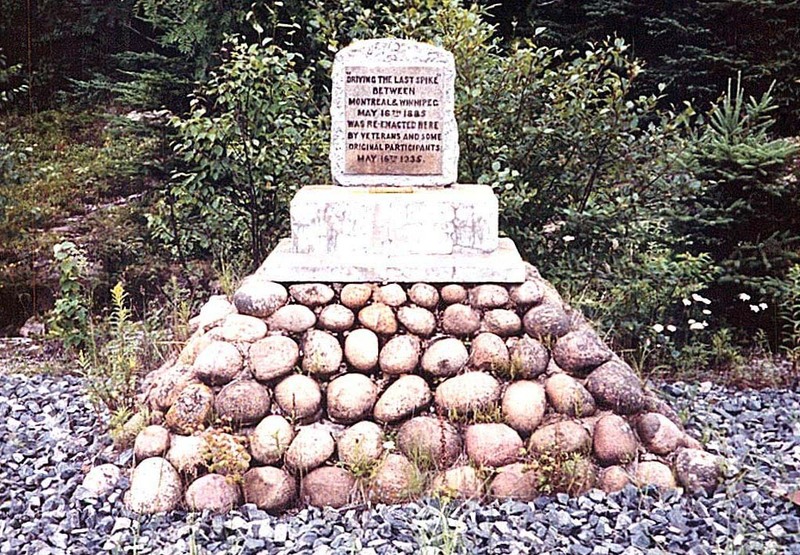 Today, there is a monument marking the place and the event. You’ll have to head off Highway 17 to reach it. This entry was posted in Uncategorized and tagged abandoned, railway by Highway11.ca Editor. Bookmark the permalink.